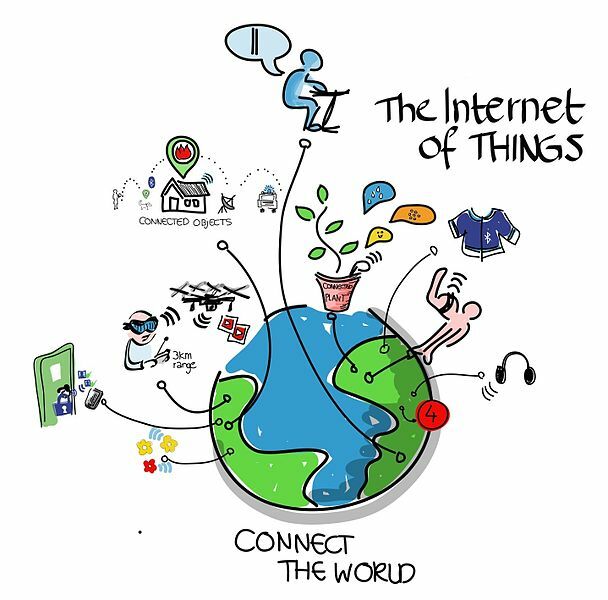 The IoT isn't just the latest 'shiny object' in the business world. For many kinds of companies, there are significant revenue implications. There seems to be a consensus that the Internet of Things is going to change the world. We’ll be connecting up our homes, our cars, and all manner of personal and medical devices. It will change the nature of work and the nature of business. That’s what we’ve been hearing, and it’s certainly a worthy — if lofty — goal. What we don’t hear quite as much about is how it actually works, and what is actually required to get these things up and running. Thankfully, this practical conversation is beginning to emerge as well. If you look out in the market, you’ll probably see two main camps: one highlighting all of the great outcomes that IoT will bring, and another focused on the technical details of sensors, communications protocols, security, and data management. For the most part, you won’t see them actually come together. The good news is that this exact thing happened in Boston earlier this month. Over the course of a few days downtown, PTC LiveWorx brought together the technical and financial, both in terms of topics discussed and technology partners in attendance. The topic of monetizing IoT is pretty complex, but it can be illustrated fairly quickly: Somewhere out in the world is a sensor. That sensor collects information. That information is stored on a device. That device communicates back to a central location, which is collecting information from a bunch of other devices. At this point, one of three things happens: (1) the data is used to monitor and improve the performance of a specific asset, improving reliability and/or productivity; (2) the data is sold to other people who can use it to make better decisions; or (3) the data is made available for analysis, and that analytics capability is made available as a service, for a price. Application #1 helps save money for the asset owner, and may also help the asset manufacturer sell more. Applications #2 and #3 create new data-derived revenue streams for the folks collecting that information. If you sell products that collect some sort of data (or could be retrofitted to do so) and there is someone out in the world who would find that data valuable, IoT is a new revenue source for you. If you sell physical products that degrade or need to be serviced, IoT means you can offer remote monitoring services, or preventative maintenance services — new revenue streams. In the alternative, you can increase the attractiveness (and value) of those products by giving customers the ability to conduct that monitoring and maintenance themselves. If you sell services that could be expanded if you only had access to more data, it’s new money. And if you sell technology to help sense conditions, facilitate secure communications, conduct analysis, manage service provisioning and billing, or forecast and plan revenue, this market is going to need you. If none of that matters to you, there’s still one very good reason to pay attention: it’s simply a fascinating topic of which we’re just beginning to scratch the surface. No one knows exactly how it will all play out, but it is going to be something special. I think it’s quite interesting that this conversation was sparked at an event run by a company that those of us on the financial side of the fence wouldn’t normally expect. PTC is big for engineers and designers. Historically, it’s a company you go to for computer-aided design and product lifecycle management. So, at least in the beginning, it helped you design physical product. Then PTC acquired ThingWorx, which provides a platform upon which you can develop applications deployed on those physical products. And it acquired Axeda, which gives you a secure communications stack to connect those devices. This year, PTC announced the acquisition of ColdLight, which provides analytics technology that you can embed on those devices. Put all of that together, and you can see why the company is involved: it’s touching smart connected devices across the entire hardware and software design phases, including the much-needed analytics and communications layers. Fair enough. But what about the monetization part? That’s where PTC’s growing partner network comes in. One notable attendee, who are facilitating more of these types of discussions at its own Subscribed event this week, was Zuora. It’s a ThingWorx partner that provides a good example of where the financial connections happen. PTC helps with the design of smart, connected products, and Zuora provides pre- and post-sale process management for handling orders, subscriptions, and billing. So if you’re selling subscriptions to sensor-captured data streams, or if you’re offering analytics services on a per-processor or per-gigabyte basis, that’s where the tie-in comes. While I think PTC LiveWorx did a great job making these connections, I’d be dropping the ball if I didn’t mention others who are getting in on the game. Alongside Zuora at LiveWorx was MetraTech (now part of Ericsson), which is very keen on participating in all things IoT. And at the same time that show was going on in Boston, SAP was announcing its HANA Cloud Platform for the IoT and its related partnerships with Siemens and Intel down in Orlando at Sapphire. And there was NetSuite’s messaging at SuiteWorld. And Informatica. And I would expect to hear a thing or two this week at both IBM Vision and Zuora Subscribed. And that’s just what’s going on in the span of two or three weeks in May. You shouldn’t even need to keep an eye out for further developments — I’m fairly certain they’ll be coming to the front page of news and media sites near you in the not-too-distant future. Scott Pezza is principal analyst at Blue Hill Research. This article was originally published on Blue Hill’s website.